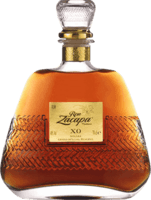 “My adult rum journey started as for most people with the sweet Spanish styled “Ron”. Nowadays I’m more into the English styled “Rum” and I have also started to explore the Agricole. Right now I have around 90 different bottles in my Rum bar. My favourite brand is English Harbour and Antigua is the only island that I have payed a visit in the Antilles. My “Spanish” favourites are right now Ron Zafra and Ron Malecon Rare Proof. My “English” favourites (except from English Harbour) is to find among the Bajan and Jamaican brands. 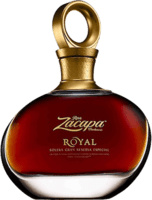 Another nice Panamian Tested this on Birka Cruises rum cruise on the Baltic Sea, and have now bought me two bottles together with two bottles of the 18 year old Rare Proof. Batch 002 English Harbour have never disappointed me. Bought me this during a vacation in Antigua, have one from batch 001 since before without have tasting it. What can I say? A truly Bajan Rum! It has it all. 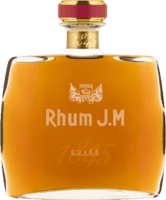 Must be one of the best Bajan rums. Do I need to change my top five shelf? Feel that I have to taste the older ones. Good It’s good but not exceptional in any way. Quite weak nose and afterburn. It got it’s rating because of the smooth and quite complex taste in mouth. Very pricewhorty Another well tasting rum from Barbados. I really like the rum from R.L. Seale’s. Picture: My Bajan shelf. A little bit too sweet! It’s a complex Ron with lots of nice notes, but the strength (43%) don’t quite balance up the sweetness. You can clearly feel whisky notes in the end. A real good choice The 15 year old isn’t as sweet as 12 year old one. It’s a quite complex rum. It’s very well balanced and you can taste nuts, fruit and some vanilla. Sold out??? I thought it was completely sold out in Europe, but then I found some bottles on a German site to complete my last bottle. So now I have four of it. At least an 8 This agricole is very smooth with nice notes. I’m not finished with it yet, but I can really recommend it. Picture: My Guadeloupe shelf. A great just 3yo rhum Just back from this years rumcruise at the Baltic Sea with Birka cruises. It’s a fantastic opportunity to taste new rum, rarities and old favourites. 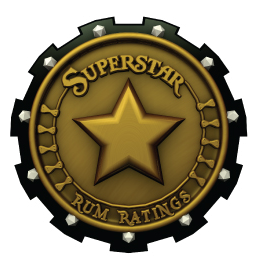 Tasteful standard rum A smooth rum in a nice bottle lots of caramel in nose and mouth with a quite long afterburn. Picture: My Grenada shelf. Better than expected! I’m not a fan of Plantation, think it’s a little bit dull. But this one is definitely pricewhorty with it’s quite alright taste and flavour. A nice Neisson Just back from this years rumcruise at the Baltic Sea with Birka cruises. It’s a fantastic opportunity to taste new rum, rarities and old favourites. Too sweet for me There are some good flavours in it, but too sweet for me. Insulin chock Much much too sweet for me. More liquor than rum. So for those how want liquor to the coffe it maybe OK.
OK mixer It’s ok to use as a mixer when in Antigua where Goslings is to expensive when you do a false Dark ‘n’ Stormy. Negrita This is another rum that I used as a youngster to mix my rum and coke. I remember that I liked this better than the white ones. Not for sipping You can use it sipping bu I don’t recommend it. It’s better to use it as a mixer rum. It’s too sweet for me, but I like the bottle. Carioca This mixer rum was one of my favourites when I was young and only used rum as a mixer. The big mixer rum Hard to judge it correctly, but I think that I won’t rate a mixer rum higher then 5. This Bacardi is good enough for most of the simpler rum drinks. Ronrico This rum was another of my favourites when I was young and only used rum as a mixer. OK mixer It’s OK to use as a mixer to a TiPunch or RumPunch.